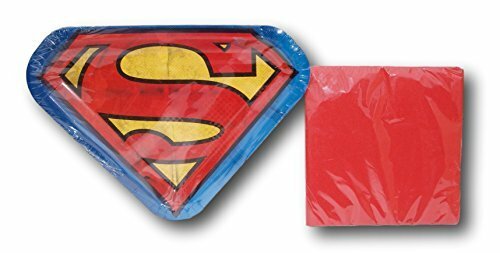 DC Comics Superman Super Hero Party Bundle includes 8 Superman symbol plates and 24 2-ply red napkins. Great for themed parties! Plates measure: 9.25" x 9.25"; Napkins measure: 6.5" x 6.5"